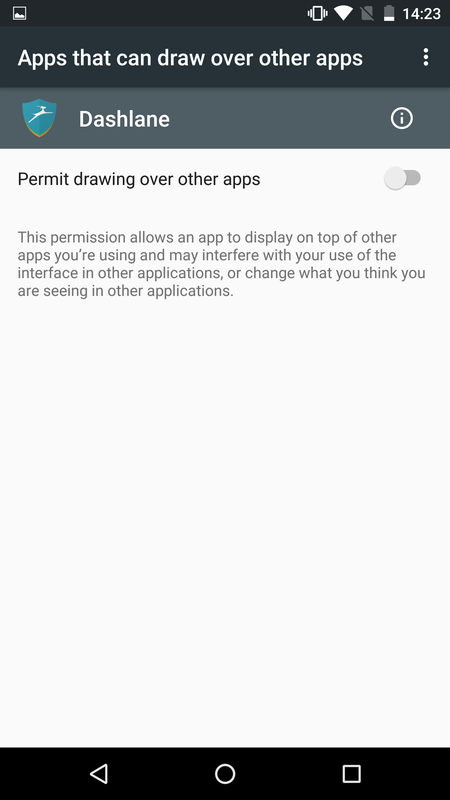 You can automatically log in to other apps on your Android device. This means that you can create strong passwords for all your apps and not have to type them yourself. 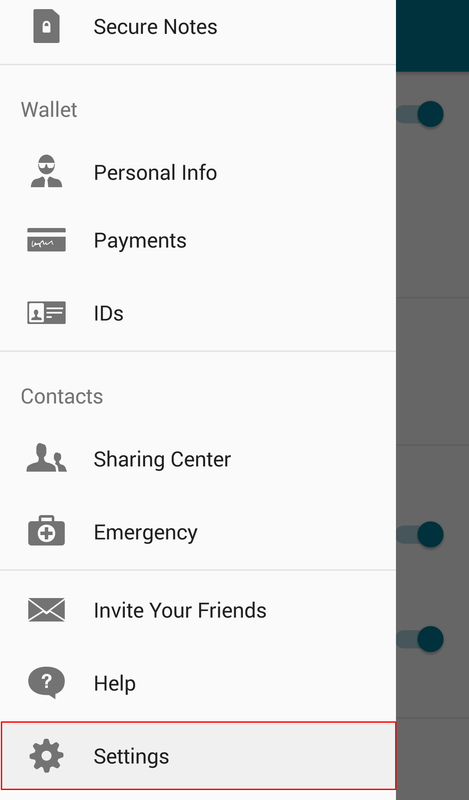 Simply open an app on your Android device and Dashlane will be there when you need it. To start using auto-login for apps, you need to enable the Dashlane accessibility service in the Settings. When you first open Dashlane, it will normally ask you if you want to enable this service. If you accept it, you will then be prompted to change a few settings on your phone to allow this service to work. In your list of Services, tap on Dashlane. Then tap the on/off switch to enable the service. 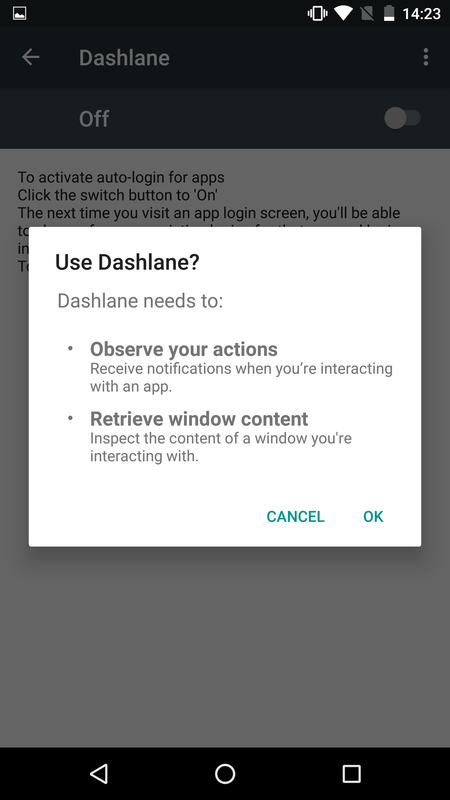 On Android 6.0 and above, give an extra permission to Dashlane. Lastly, you need to tap on the back button on your phone a few times to get back to Dashlane. Then you can tap on Done and it's ready to go! However, this screen is only displayed once. Tap the three-line icon in the top left corner inside Dashlane to open the main menu. Then select Settings at the end of the menu. 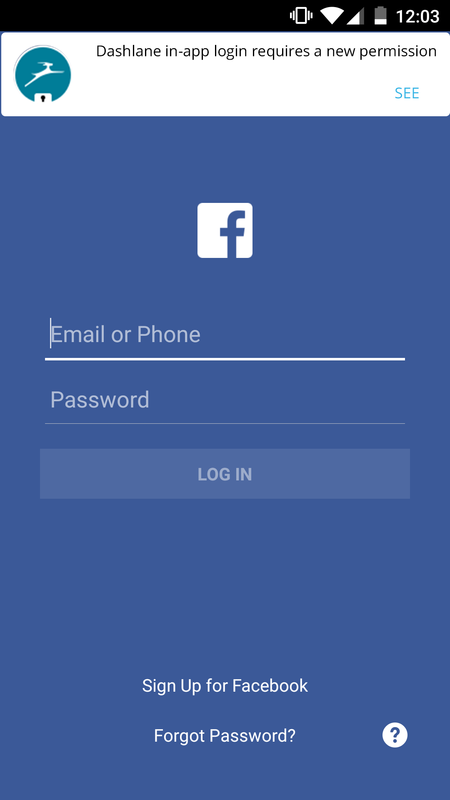 Scroll down until you see Auto-login and Auto-login for Android apps. Tap on the switch to enable this service. Then in your list of Services, tap on Dashlane. Tap the on/off switch to enable the service. 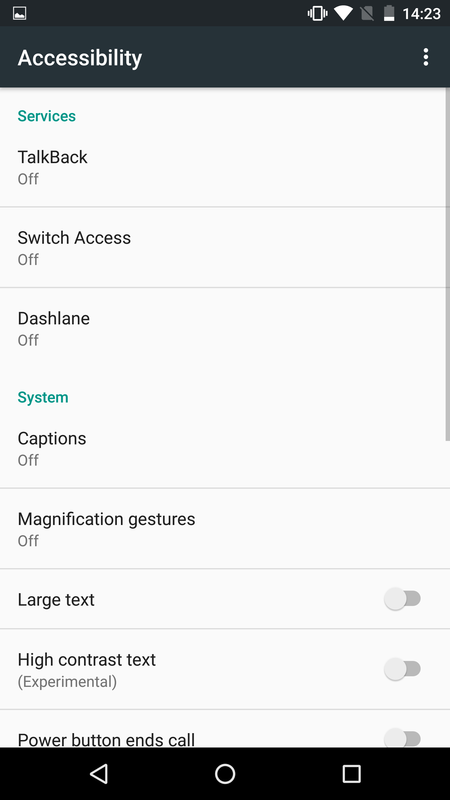 You can disable also this feature or change any settings by going to the same Settings menu in the Dashlane app, and scrolling down until you see the Auto-login and Auto-login for Android apps sections. 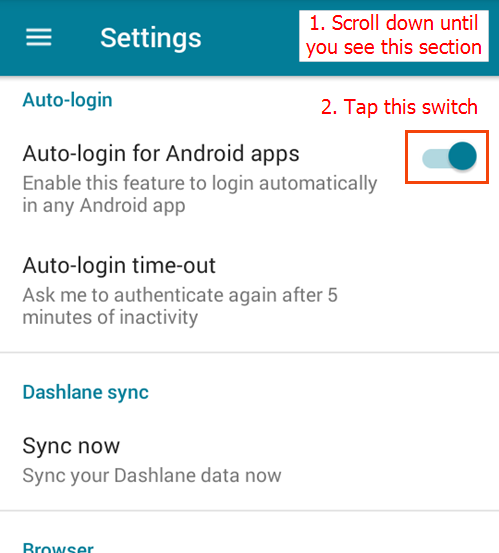 Dashlane in-app auto-login feature requires an additional permission to work on Android 6.0 and above. Open any other application. You will see a Dashlane popup at the top of the screen. Allow Dashlane to draw over other apps to complete auto-login setup. 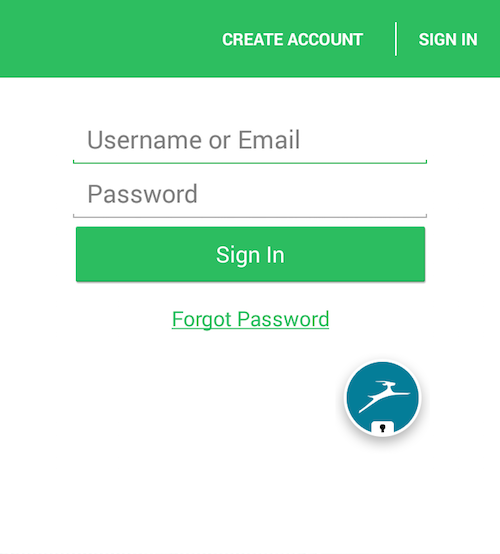 To use our auto-login for apps feature, simple open your app and go to the login form. You will then see a small bubble with the Dashlane logo appear. Tap on the bubble icon to see the autofill menu. Then simply tap on the login you want to use, and Dashlane will auto-log you in! 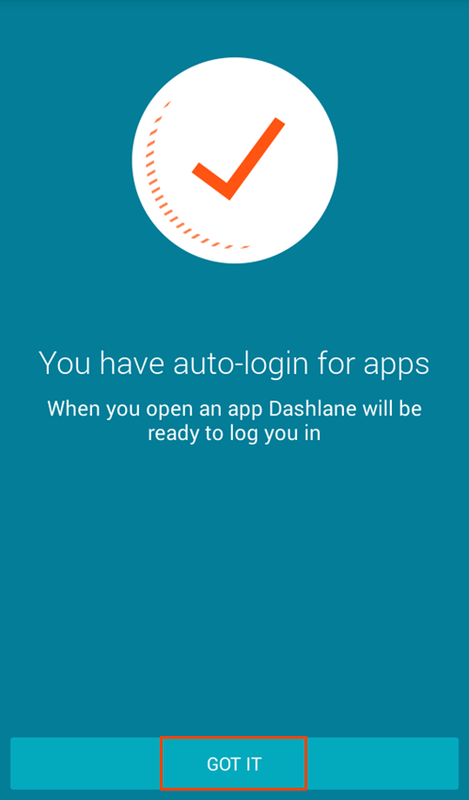 If Dashlane does not log in to an app, first make sure that you are running at least Android 5 on your device. Unfortunately, Dashlane will not be available if you have an older version of Android. If you do have Android 5 or later, try in another app. We are doing our best to support as many apps as possible, but some apps may include unusual forms which do not work well with our feature. For instance, if the login form contains more than a login and a password, it might disrupt Dashlane. 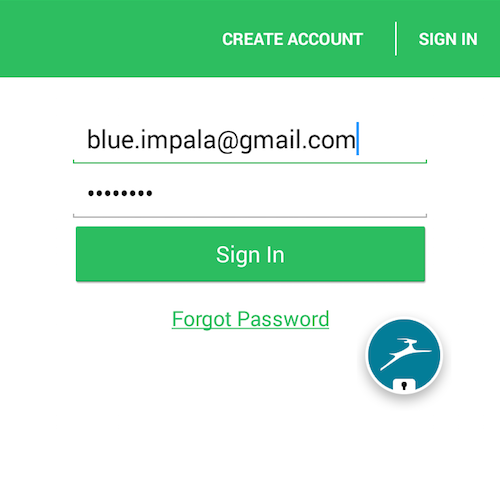 We are working hard on improving this feature and supporting more complex login forms! If the login form looks simple but Dashlane cannot find a login for the app, it may be that the app has a different name (or package name) than the login you saved. Try changing the name for that item in the Passwords section in Dashlane. Try and name it after the company that issued the app, their site, or the application name. 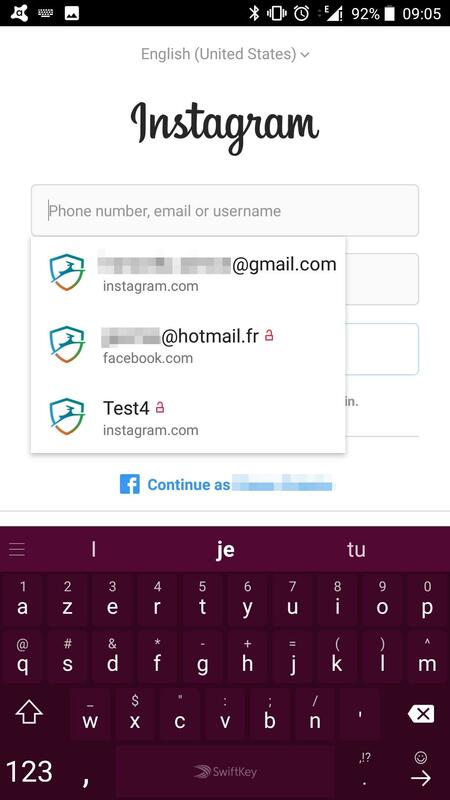 If Dashlane still does not autofill your login information after changing the name for that item, you can try searching for that app in your browser in order to find the PlayStore page address for that app. This will allow your to know the exact package name for the app you are try to log in. Here you can see that that the package name (i.e. the text which is after the ?id=) is actually ideashower.readitlater.pro for this app. Now open the Passwords section in Dashlane and rename your Pocket login to include "readitlater" in the name. Then open the app and log in! If it still does not work, it may be that the app uses a form that we do not support yet. We are working hard on adding support for more and more apps so thank you very much for your patience! Samsung's development team is aware of the issue and is reportedly working to solve it. This bug occurs on any app using an accessibility service (such as Dashlane, Lightflow, Tasker, NoLED, etc). 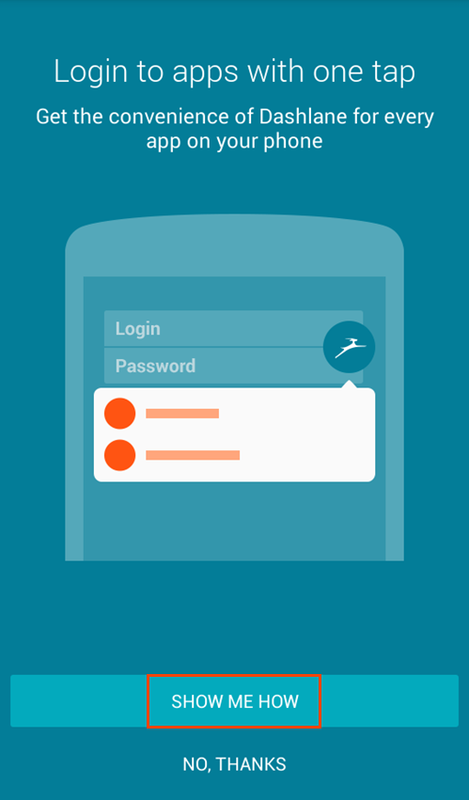 In the case of our app, an accessibility service is used to access the screen for application login analysis. This is the main feature of our auto-login for apps feature so we can't do without it. The fix shown below has been reported not to have any effect on other apps using TTS (such as Google Navigation). 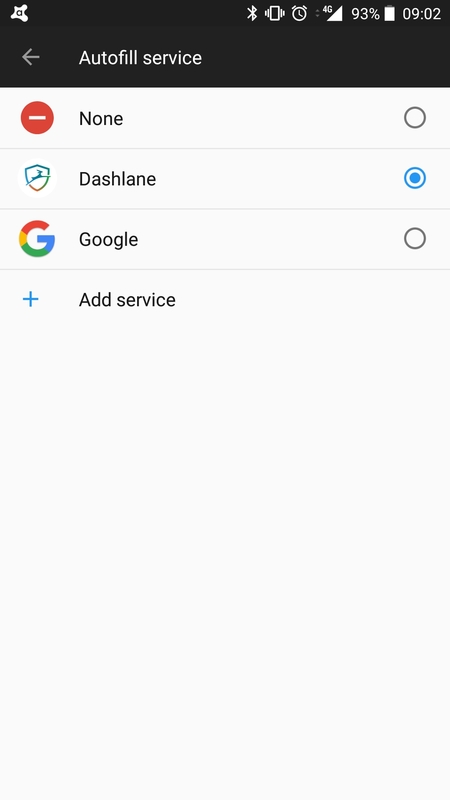 The accessibility service allows the Dashlane bubble to help you autofill your log in information in other Android apps but it also allows the bubble to help you in other Android web browsers such as Chrome and Edge. The bubble will pop up next to the log in fields, exactly as it does in other apps. Please note that it might slow your web browser down a bit as it needs to analyze the web pages in order to find the log in fields. If you do experience slowness of your browser and you wish to fix it, disabling Dashlane in the accessibility settings of your device is the best way of doing so. Please note that, as long as the new autofill API is enabled, the Dashlane bubble from the accessibility service will not show anymore in other apps. You will only get the popup below the log in fields which is generated by the autofill API. The bubble will still show in browsers, where the autofill API doesn't work. 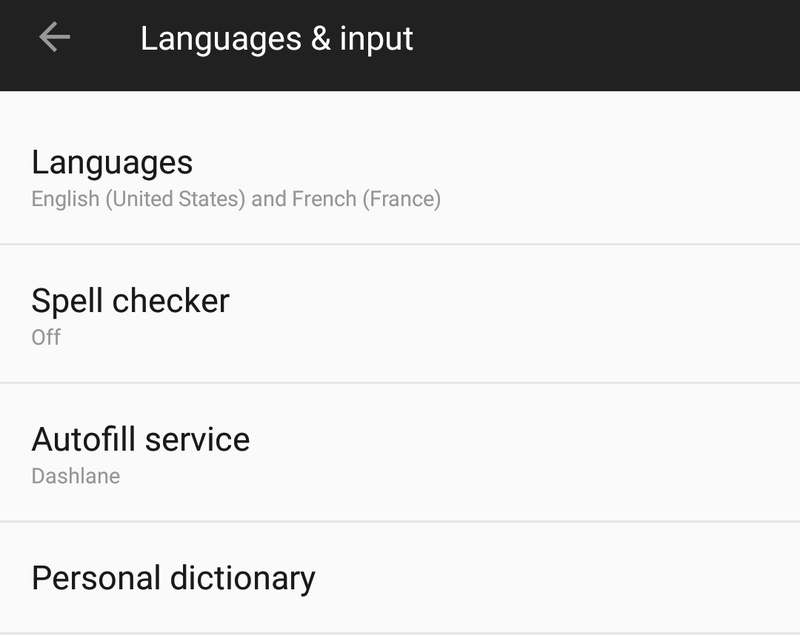 It is also important to note that the compatibility of the autofill API with other apps depends mostly on whether these apps' developers built this compatibility in their app or not. Dashlane wouldn't have any way of fixing an autofill issue with the autofill API. This warning pops up mainly when this other app's developer did not do the necessary to allow Dashlane to identify their application. If you’re a developer of an app with this issue, please follow the guide here to fix it. As a consequence, it also pops up when you attempt to autofill your log in information in an app and this log in information was not saved into your Dashlane account using the new autofill API. 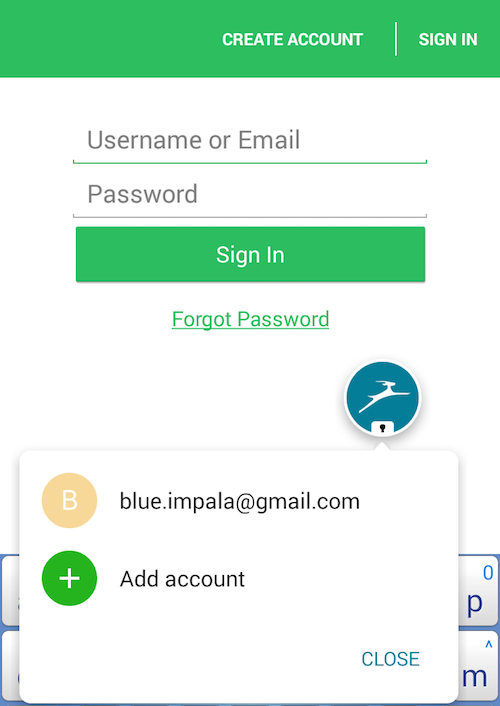 Indeed, unlike the Dashlane bubble from the accessibility service, the new autofill API on Android 8.0 allows you to capture log in information from an app when you manually log in and save it into your Dashlane account. 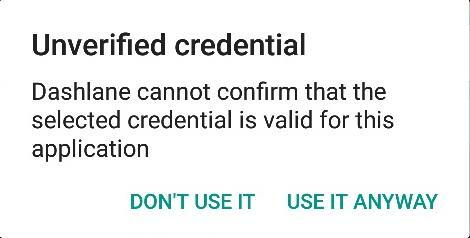 If you do so, the app will be verified and you will always be able to log into it using the autofill API without any issue. On the other hand, if the information was not captured by the autofill API (which will be the case for most of your apps if you used Dashlane before Android 8.0), you might get this warning in some of your apps (those that were not developed to be "compatible" with Dashlane). Contact the other app's developers so they can do the necessary to "whitelist" Dashlane (guide linked above). Delete the log in information from your Dashlane account and log into this app manually so the autofill API can capture the information and save it in Dashlane again. Contact us so we can "whitelist" the app. 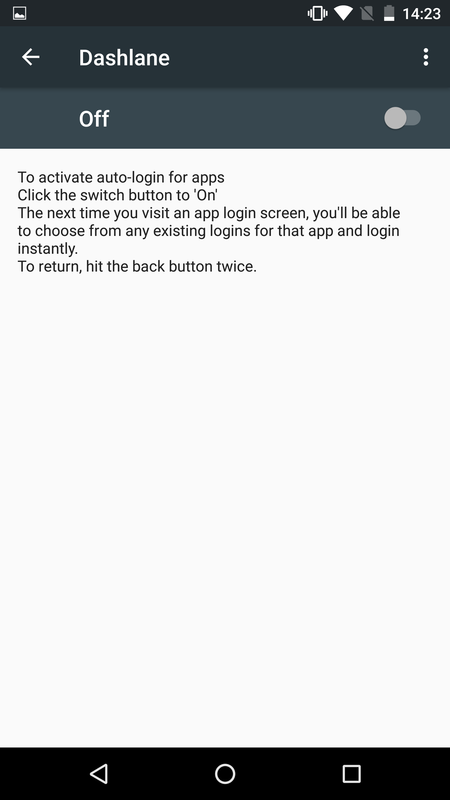 Please note that solution #1 will not work if the app log-in is made through two different screens (login first and then password on the second screen). We noticed that the capture doesn't work in this kind of situation. In this case, you will need to go with solution #2 or #3.